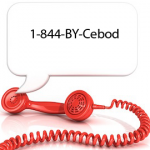 Live Chat Vs Toll Free Numbers – One or Both?- Cebod telecom "
Live Chat Vs Toll Free Numbers – One or Both? When you are running a business, having your contact information online is vital for your customers to reach you. However, you also want to make sure that you have the ability for people to receive immediate support if necessary. The two most common ways to do this is through offering a live chat feature on your site or using toll free numbers. Therefore, the question then becomes which one should you select, or should you have both options available. In the world of technology, live chat is becoming a more popular choice for reaching customers. People like the concept of talking to a live person when they want answers right away. If your company is large with several departments, you can set up a live chat feature that will dictate which live technicians the consumer will reach. However, you may find it more beneficial if your chat technicians are well versed in every aspect of the company so they can answer questions as they arise, or at least be able to know the number to call. Live chat is a great way for customers to have their questions answered immediately, maximizing your profit potential. It is extremely convenient for your customers, especially for those who are not keen on talking to someone on the phone. It is common for customers to face the dreaded, “all customer service representatives are currently busy.” Many people will hang up rather than wait for a representative, and then you have lost the sale. Customers who are likely to use live chat are going to be the people who prefer to communicate via text messages or emails. Consumers who shop online are more likely going to be people who are introverted and do not feel comfortable talking on the phone. They may also be people who struggle with hearing or cannot distinguish with different accents. In addition, live chat allows customers to continue shopping because it is in a separate pop-up window. This helps prevent interrupting the shopper, who may then decide they are done with their purchase. Most customers will be able to shop from your site without needing assistance, but not everyone will. It has been shown that live chat helps customers who are unfamiliar with e-commerce complete a sale, and giving them the courage necessary to complete more in the future. In addition, while the representative is in the chat with the customer, it gives the company an opportunity to upsell complimentary products. Live chat is a direct way to see what problems customers are having when shopping from the site. If representatives are noticing a trend in the problems they are solving, the website can be redesigned to address the issues. This will reach people who may not have completed a sale because they were frustrated with the process and left the page without seeking assistance. Prior to 2010, toll free numbers were a necessity for every company. There were long distance rates on landline phones, as well as additional minute charges for mobile devices. However, you will hear other people say that every small business should have a toll free number. So, why is that, especially since people have cell phones with unlimited data? Part of it is due to the fact people want a number that is easy to remember and part of it is due to people who want to have a number that can be forwarded to wherever they are working that day. The most common toll free numbers start with 1-800, 1-888, or 1-877. However, there are a few other numbers that are also available, including local numbers that can be routed to wherever your home office is. This is a great option for companies that have a corporation with home offices in different towns and want the calls to appear local when calling out. Toll free numbers work the same as standard numbers and give access to voicemail and fax machines, so you will never miss a call. With toll free numbers, you will have the ability to create a number that can be used in your marketing methods. 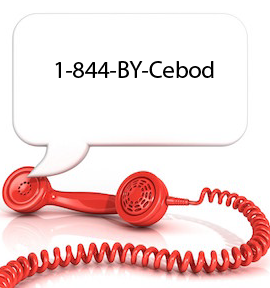 1-844-BY-CEBOD is a well-known toll free number that is also the name of the business, as is 1-800-Got Junk. However, you can purchase vanity numbers that work with your business name for the same price as a regular number. The vanity numbers will be easier for your customers to remember, even if they are calling from a local number. While over half of businesses online have removed toll free numbers, studies have shown that people are much more likely to give out personal information and make purchases with a 1-800 number. It is unclear why this is, but it has been shown that more leads are driven from the toll free service. It is possible that having a toll free number simply makes your business look more professional. Toll free numbers also give people the idea that you have a large company, people already trust your goods and/or services helping you stand out in the crowd. However, it is also possible to grow or condense your business without having to let the community know, because your number will not change. If you look at the business contact information for every one of the Fortune 500 companies, you will discover that they all offer toll free numbers. Yes, toll free numbers have a monthly cost, but they do prevent your company from having to install a special phone system to handle the incoming call volume. On the other hand, live chat will require you to have people on hand to chat whenever someone accesses the feature. There are pros and cons to both forms of communication, but in the end, it really benefits companies to have both. Live chat will give you the benefit of being able to directly communicate with your consumers and see where their problems lie, but you need to make sure that you still offer emotion through the messages submitted. With toll free phone numbers on the other hand, you will be able to put off a more personable atmosphere, but you will have the awkwardness of handling different accents. You are giving your customer more ways to reach your business and getting they need. When they feel their needs have been fulfilled, they are more likely to make purchases and give good reviews to other shoppers. This means that if you opt for live chat, you want people who have sales experience and stay on point with the conversation. However, if you opt for toll free numbers, you want a staff that can make customers feel welcome, regardless of the questions. To complete your business, hire people who can do all of the above and operate both services.